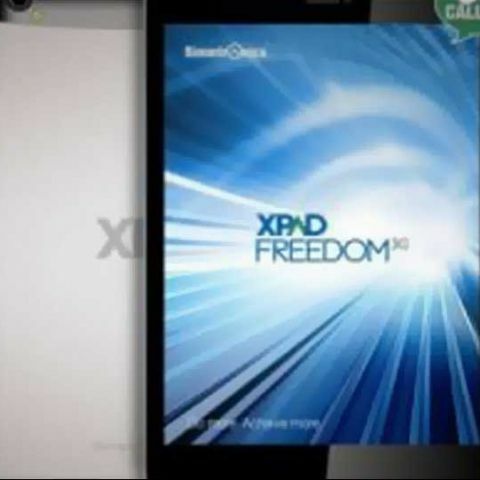 Simmtronics XPAD Freedom launched for Rs 13,999, boasts of dual-SIM, Android 4.2.2 OS and 3G calling. 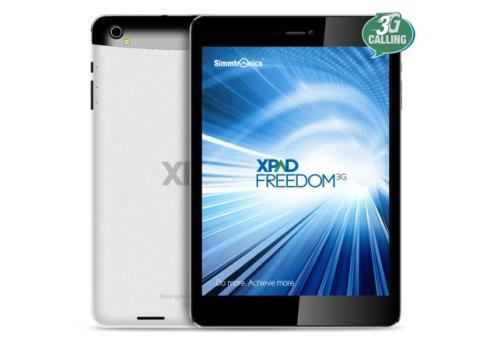 Simmtronics has unveiled the XPAD Freedom tablet that features 3G connectivity, Android 4.2 and a quad-core processor. The tablet is available for Rs 13,999 on Flipkart.com. Simmtronics is also offering a free cover worth Rs.1,999 as a promotional offer. Simmtronics XPAD Freedom has a 7.85 inch IPS display screen with 1024 x 768 pixels display resolution. It has a 1.2 GHz quad-core processor paired with 1GB of RAM. It has a 5MP rear camera and a 2MP front camera for video calling. It has 8GB in-built storage expandable up to 32 GB via MicroSD card slot. On the connectivity front, the tablet offers 2G, 3G, USB support and Bluetooth 4.0 for faster data transfer. It is powered by a 5,000 mAh battery that, according to the company's claims, delivers 200 hours standby time, 5 hours internet browsing time and 6 hours of video playback. “This customized tab is designed for technology lovers who wish to use both 3G and 2G in a single device, which is enriched with a quad-core processor. I am sure, this sophisticated tab will enrich your experience with the latest out-of technology weaved in it. We have manufactured a unibody enclosure and refined to process to be even more material-efficient and extract with tolerances measured in microns, mono-crystalline diamond cut-edges and sleek metallic finishes, designed to satisfy high-standards”, further added Mr. Sabharwal. Simmtronics recently launched the Simmtronics XPAD X-722 tablet for Rs 5,999. The tablet features a 7-inch display screen with 800 x 480 pixels resolution. It has a 2MP rear camera and 0.3MP front camera for video chatting. The tablet supports 2G voice-calling and data (GSM/GPRS), Bluetooth, Wi-Fi and 3G via USB Dongle. It has a 3,500 mAh battery.